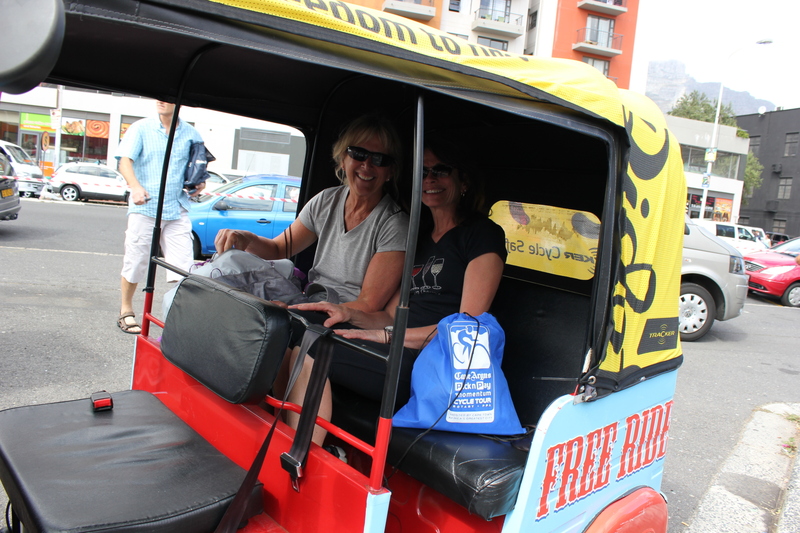 Take a Tuk-Tuk and Explore Cape Town – Free! 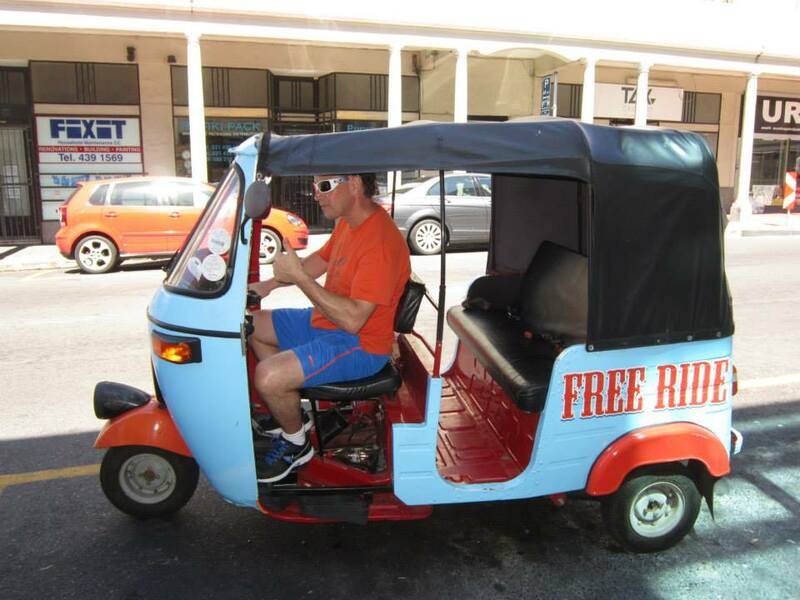 We have all heard the saying “there is no such thing as a free ride”, but if you are planning on heading down to Cape Town in South Africa this year, you can take as many free rides as you like in one of the cool Tuk-Tuk’s that roam the city! 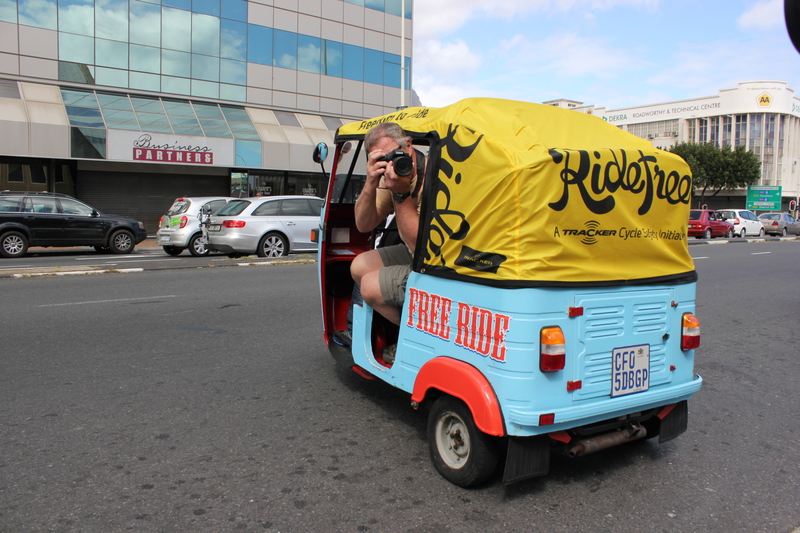 A fantastic new concept that both locals and travellers can enjoy, Cape Town’s new Tuk-Tuk service is perfect for nipping from Camps Bay to Seapoint or the city centre to the V&A Waterfront, and as the drivers are not allowed to ask for any kind of payment, you can get wherever you need to go without spending a penny! Of course, most people tip the drivers, and the friendly drivers we had were worth every Rand we gave them, but the ride itself is free of charge – all you have to do is wave one down, hop in, and off you go! Cape Town’s transport system has improved greatly since the World Cup came to town in 2010, with the removal of illegal ‘taxi buses’ and the introduction of the new MyCiti Bus network, which provides a safe, reliable and affordable bus system in and around the city, so getting around the ‘Mother City’ has never been easier… but now it’s free! 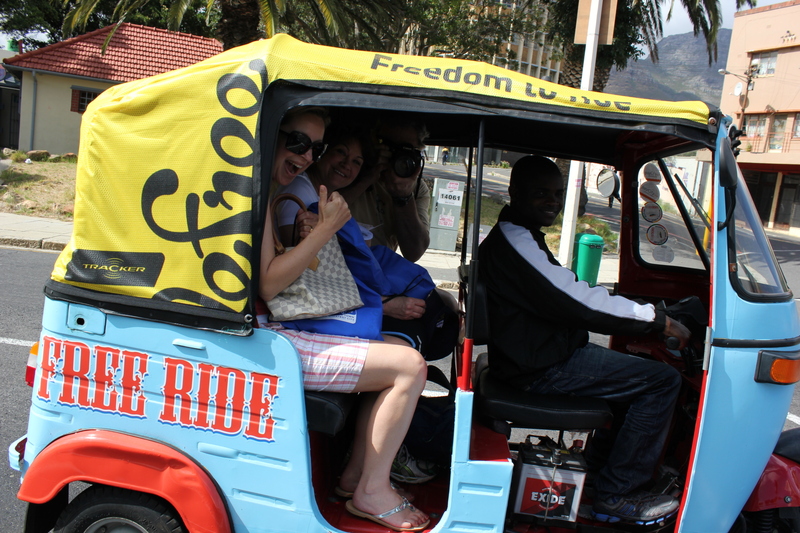 We found the Cape Town Tuk-Tuk service invaluable during the Cape Argus Cycle Tour weekend when taxis were hard to get hold of, and as you will see from the photo’s, we had a lot of fun exploring Cape Town on our tricycle made for three! Where can you find them? Just along Camps Bay?